Scott's Journey: page 1 - preparations | this page - the polar journey | time-line and info graphic | crew of the Terra Nova | why did Scott die? | what did Scott's team die of? 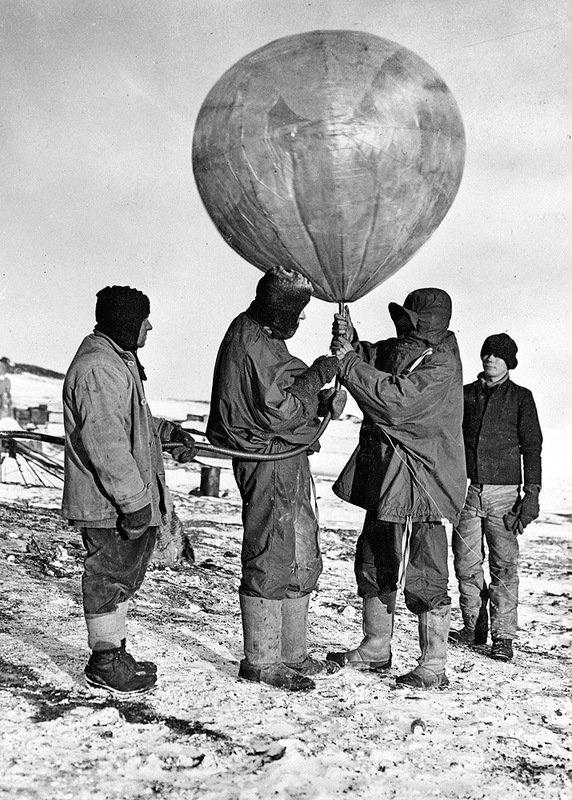 Dr. Simpson sending up a hydrogen balloon, part of the scientific programme of Scott's Expedition. 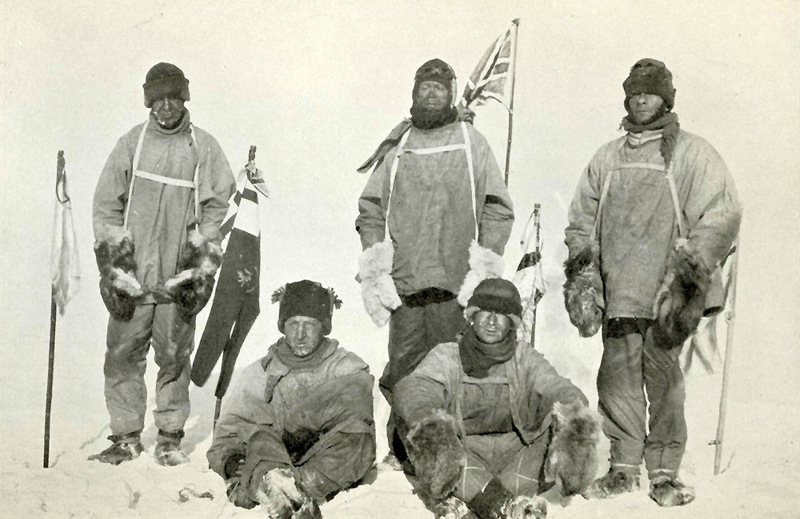 The South Pole party from left to right - Oates, Bowers, Scott, Wilson, Evans. They reached the Pole on the 17th of January 1912. 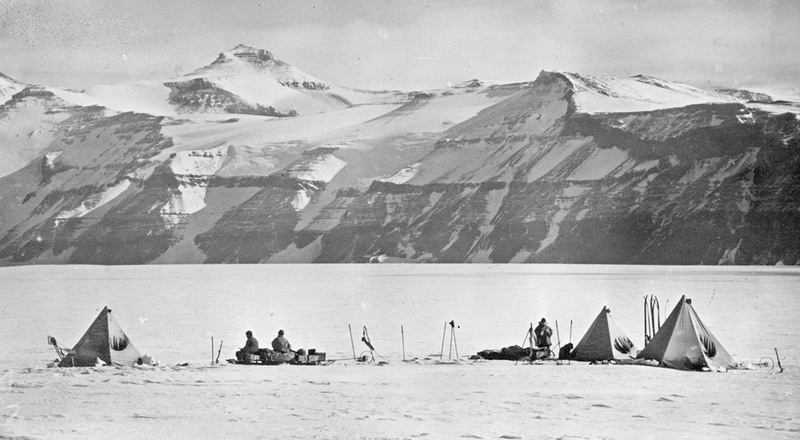 Scott's Polar party at Amundsen's tent and marker flag, January 18th 1912, about a month after Amundsen's party had reached the Pole on the 14th of December 1911. Cairn marking the site of the final campsite where Bowers, Scott and Wilson died. Scott is thought to have been the last to die on March 29th 1912, the tent and bodies within were not found until the 12th of November later that year. It was eleven miles short of "one tin depot" where the food and fuel there would have probably ensured the men's survival. A party set out first with supplies with the motor sledges while the others with ponies and dogs followed behind. One machine soon gave out while the other was abandoned shortly afterwards. 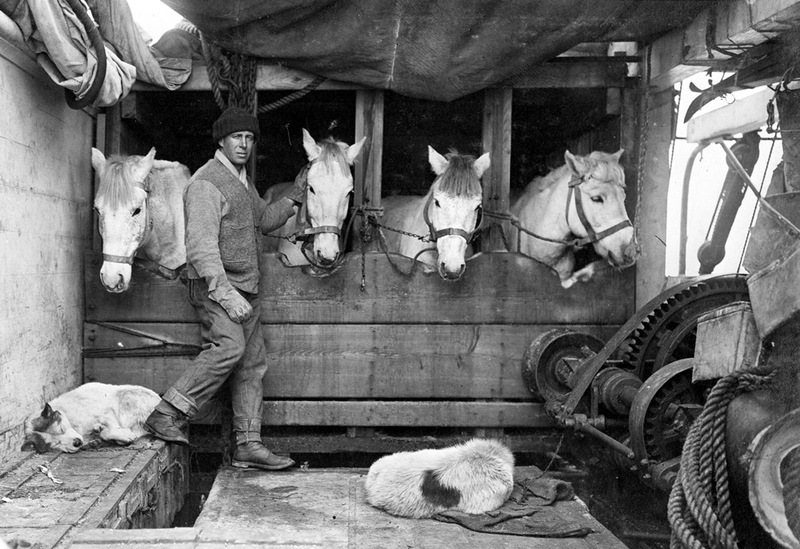 On November 1st 1911, twelve men, each with a pony and sledge, left Cape Evans in detachments. This included the final party of five that would push on towards the pole. 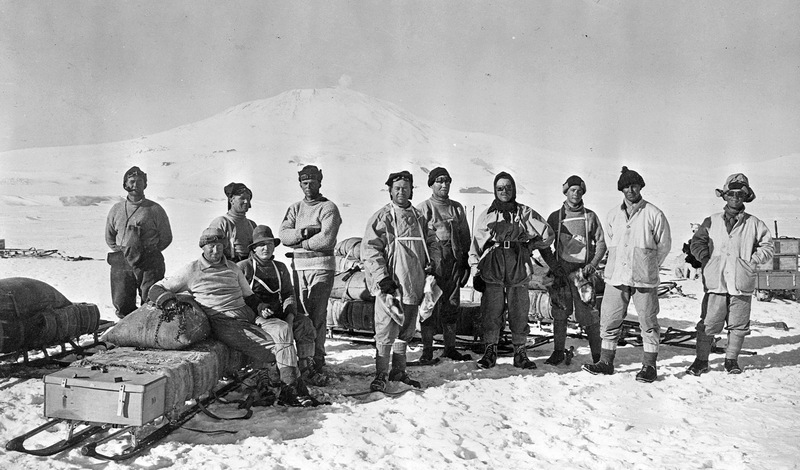 The other men were not to reach the pole, their role was supportive in helping transport supplies for the polar party and establishing depots for the polar party to use on the way back so they didn't have to carry so many supplies with them. They would then return to the winter quarters at Hut point. The distance from the winter quarters at Hut Point to the Pole and back was 1766 statute miles (further than Land's End to John O'Groats and back again, (or from New York City to Wyoming, Chicago or Denver). Every step of the way had to be marched on foot, with or without skis. They travelled by night for the benefit of the ponies, as this was the austral summer, they will have been in 24 hour daylight. Temperatures never rose above zero Fahrenheit (-18°C). 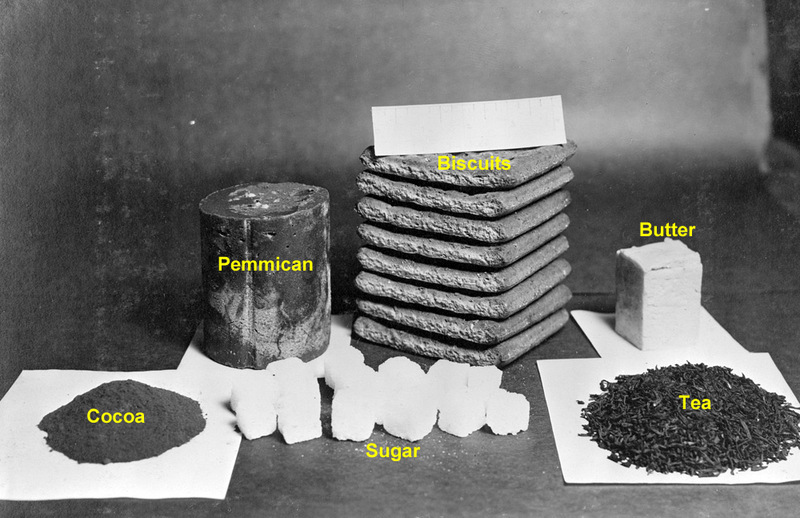 Fighting constant snowfalls, the team reached a food and supplies depot called One Ton Camp on the fifteenth day. There was a constant worry that the ponies would not be able to keep going and upon reaching Camp 20 on November 24th, the first pony was killed. Four camps later, on December 1st, the second pony was shot. Depots were made at regular intervals of roughly seventy miles, each containing food and fuel for a week for the returning parties. The weather that season was particularly bad, extreme cold interspersed with warmer than usual blizzards that melted the snow and made everything wet and travelling impossible. The ponies continued to have a difficult time of it sinking to the level of their bellies in the soft snow and becoming totally exhausted, they were shot and left behind as a depot, leaving the remainder of the travelling to manhauling. Each of the party then began by pulling around 200 pounds through soft snow into which they sank into nearly up to their knees. They were affected by snow-blindness and sometimes stumbled into crevasses, sledges and all. On December 13th, the day before Amundsen reached the Pole, in nine hours the party had advanced less than four miles. On December 20th Scott named the first returning party of four. Scott had dreaded this moment as all had pulled to the limit of their strength, but this four were now to be deprived of their reward, attainment of the South Pole. They reached "home" at Hut point 35 days later on January 26th. 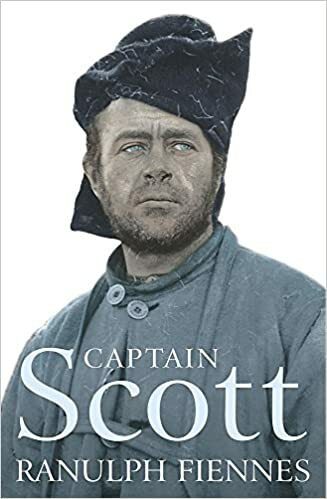 The remaining men made good progress and soon the time came for Scott to make his second difficult announcement that a further three men were to return to Hut point leaving the final party of five to continue to the pole. The two parties separated on January 3rd at 87°32'S, at an altitude of 10,280 feet on the high polar plateau, 169 miles from the Pole. 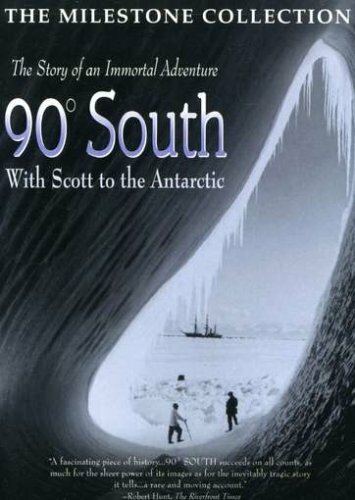 Scott and the others followed Shackleton's route from 1909, on January 6th they crossed the line of latitude where Shackleton turned back and were further south, 88°23'S, as they believed, than any man had been before. They were now 97 miles from the pole, but it took them ten days to cover this due to the weather conditions and state of the snow and ice they were pulling their sledges across. The men were growing very tired by this point, progress was often made of only five, six or seven miles a day. Each day was a hard grind and was taking a dreadful toll on the men. On January 16th they made good progress and thought that they would reach the Pole the following day. In the afternoon of that day, Bowers spotted something ahead which looked like a cairn. Half and hour later they realized the black speck was a flag tied to a sledge bearer. Nearby was the remains of a camp along with tracks made by sledges and dogs, it was not yet the Pole however. "This told us the whole story. The Norwegians have forestalled us and are first at the Pole. It is a terrible disappointment and I am very sorry for my loyal companions. Many thoughts come and much discussion we have had. To-morrow we must march on the Pole, and then hasten home with all the speed we can compass. All the day-dreams must go; it will be a wearisome return". January the 17th was "....a horrible day..." , a strong headwind and temperatures of -30°C giving three of them frostbite. Scott's journal records "Great God! This is an awful place and terrible enough for us to have laboured to it without the reward of priority". There was also a letter to be delivered to King Haakon of Norway. "We built a cairn, put up our poor slighted Union Jack, and photographed ourselves - mighty cold work all of it....."
The return trip started out fairly well but the weather would inevitably become more severe and there was no incentive of being the first to reach the pole to cheer them and spur them onwards. 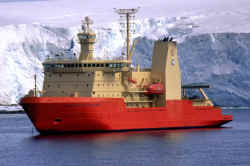 Scott wrote on the 21st of January "Oates is feeling the cold and fatigue more than most of us" and on the 23rd of January "Wilson suddenly discovered Evans nose was frostbitten - it was white and hard. There is no doubt that Evans is a good deal run down". 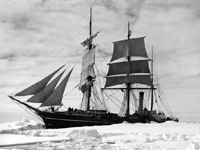 "This is the second full gale since we left the pole. I don't like the look of it. Is the weather breaking up? If so God help us, with the tremendous journey and scanty food". 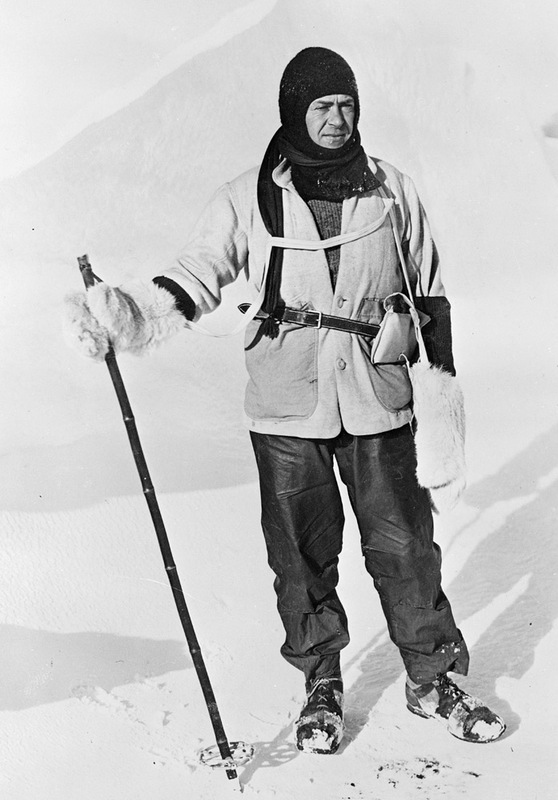 The men were becoming tired now and injuries were increasing, Wilson suffered snow-blindness, Oates had frostbitten feet. Frostbite also affected Evans' fingers and nose. They had many falls, Scott damaging his shoulder in one. Evans had a bad fall on the 4th of February suffering concussion - he was never to really recover. 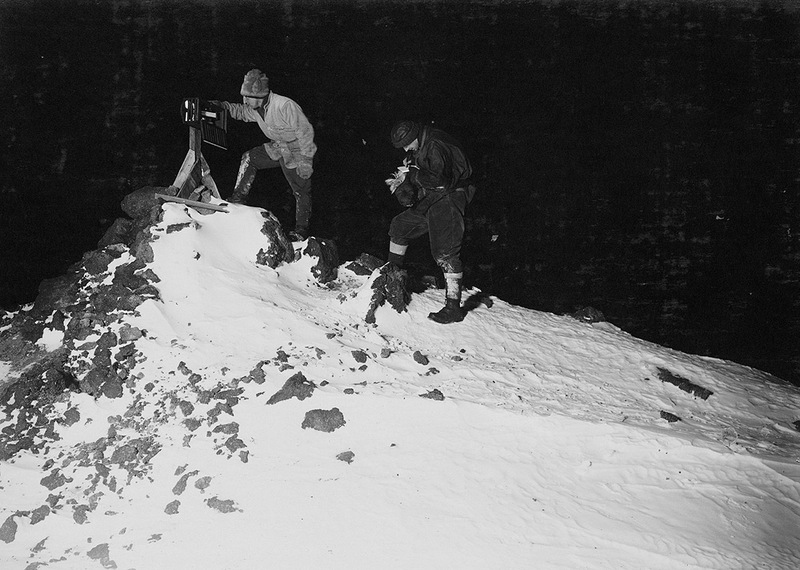 They became lost at one point while descending the Beardmore glacier and had a nightmarish two days in badly crevassed and broken ice not knowing in which direction to head and becoming more despondent. They were down to their last meal and unable to find the food depot until at the last they did so. "It was an immense relief and we were soon in possession of our three and a half days food. The relief to all is inexpressible.......... Yesterday was the worst experience of the trip and gave a horrid feeling of insecurity". February 16th - "Evans has nearly broken down in brain, we think". The next day he started reasonably well but soon left his sledge traces to walk alongside. He fell further and further back and was soon out of sight. By lunchtime the others went back to find him. He was on his knees, clothing disarranged, hands uncovered and frostbitten and with a "wild look in his eyes" (some of the classic signs of hypothermia). He was placed onto a sledge and taken to the camp they had set up, he was comatose by the time he was placed in the tent. He died quietly at 12.30 a.m. The weather continued to be against them, particularly intense cold down to -40°C and the surface bad beyond their worst fears. 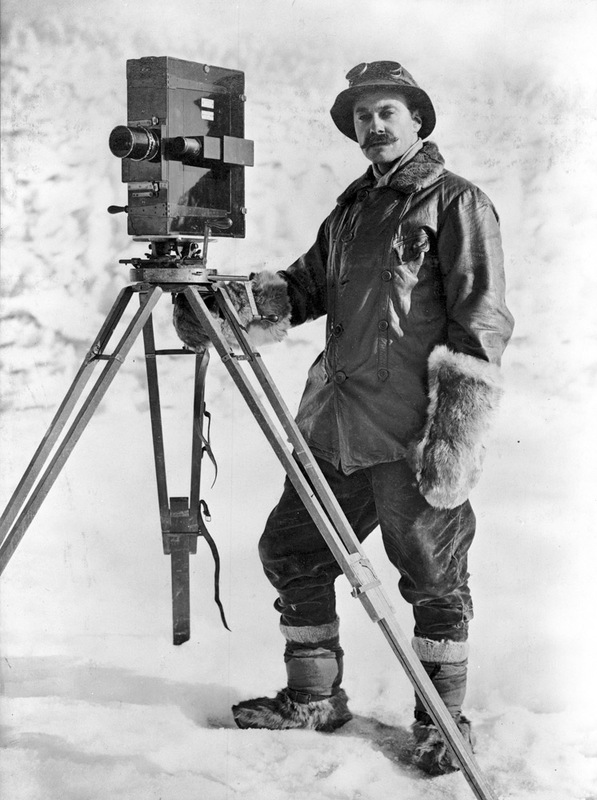 On March 5th Scott records "Oates' feet are in a wretched condition... The poor soldier is very nearly done." 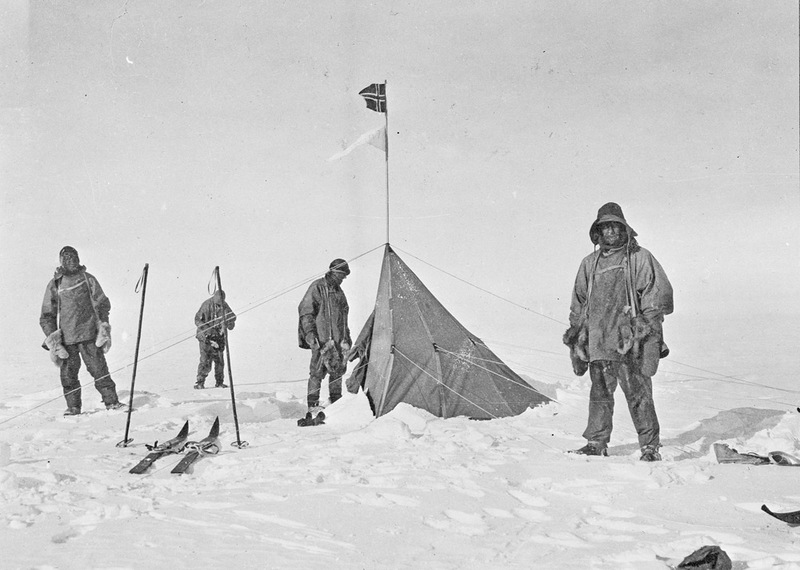 Despite the cold and awful surfaces Oates kept going attended to by Wilson the doctor, but on March the 16th he proposed that his companions leave him in his sleeping bag and continue themselves. A request they could not grant and induced him to join the afternoon march when they made a few extra miles. He was worse that night and went to sleep hoping not to wake, he did wake however to find a blizzard blowing. His now famous last words were "I am just going outside and may be some time." He walked out to his death so that he would no longer be a burden to his friends who themselves were in worsening physical condition. His feet had been so bad and the process of putting his boots on so painful that he didn't go through this torture and walked out to his death in his socks. "We knew that poor Oates was walking to his death, but though we tried to dissuade him, we knew it was the act of a brave man and an English gentleman. We all hope to meet the end with a similar spirit and assuredly the end is not far." "Since the 21st we have had a continuous gale from W.S.W. and S.W. We had fuel to make two cups of tea apiece and bare food for two days on the 20th. Every day we have been ready to start for our depot 11 miles away, but outside the door of the tent it remains a scene of whirling drift. I do not think we can hope for better things now. We shall stick it out to the end, but we are getting weaker of course, and the end cannot be far. It seems a pity but I do not think I can write more." The tent and the three frozen bodies were not discovered until nearly 8 months later on November 12th that year. 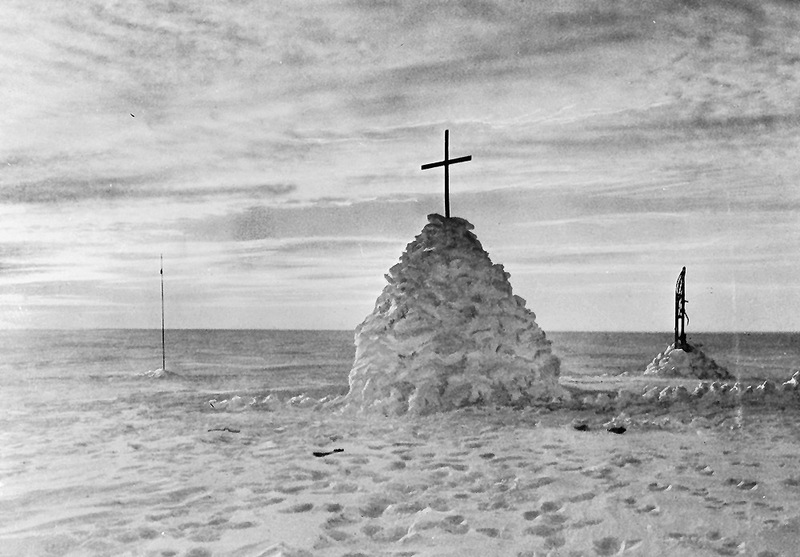 A great cairn of ice was raised over their bodies surmounted by a cross made from skis, a sledge was stood on one end in a smaller cairn nearby. A search was made for Captain Oates' body, but it was never found, only his discarded sleeping bag, cut open for much of the length to enable him to enter it with badly frostbitten feet. A cairn was placed at the scene of the search with a note that began "Hereabouts died a very gallant gentleman...."